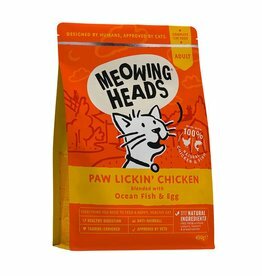 Food designed to aid the reduction of hairballs in cats. 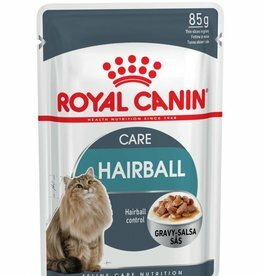 Royal Canin Feline Hairball Care Pouch in Gravy Wet Cat Food for adult cats prone to hairballs. 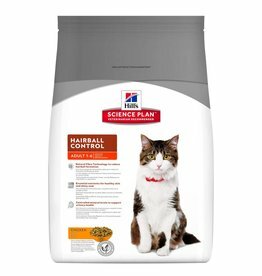 Anti-hairball complex helps your cat eliminate twice as much hair by natural digestion. 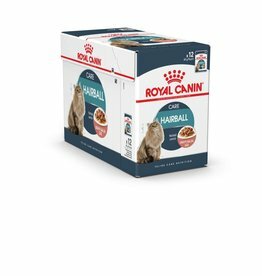 Royal Canin Feline Hairball Care Pouch in Gravy Wet Cat Food 85g Box of 12. For adult cats prone to hairballs. 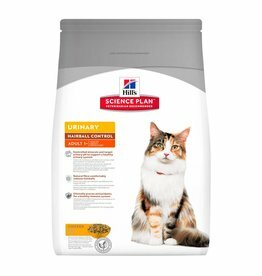 Helps your cat eliminate twice as much hair by natural digestion. 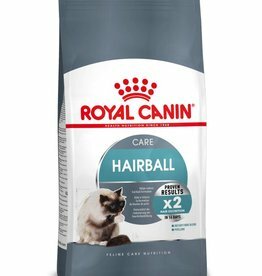 Royal Canin Hairball Care Cat Food is a carefully balanced diet for long-haired cats aged between 1 and 7 years old to help reduce the formation of hairballs.